For nearly 2 decades, Dena Sheets’ Property Management has specialized in private housing rental and lodging for the Sturgis Motorcycle Rally in the beautiful Black Hills of South Dakota. Dena’s company motto is "professional results with a personal touch” and that’s exactly what she provides her clients who come from around the world looking to experience a memorable, stress-free and picture-perfect South Dakota vacation. 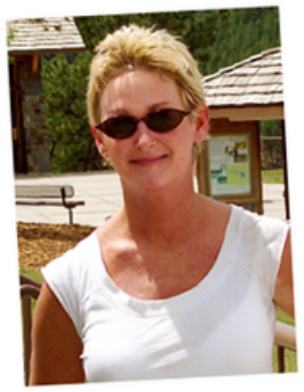 Dena Sheets prides herself on connecting guests with clean, conveniently located, recreational houses and lodgings located in Sturgis, Deadwood, Spearfish, Lead, Deer Mountain, Terry Peak and more. Dena personally inspects every property and insures they provide "home-style comfort” and features such amenities as parking, air conditioning, fully equipped kitchens, privacy and adequate space for you and yours to relax. For the past 18 years, Dena and her husband live, work and play in and around South Dakota. This first-hand experience is a major benefit for her clients, because Dena loves to share all the hot spots. She knows all the coolest places to eat, ride and see in the state of South Dakota. So if you’re planning your next trip or coming out for Sturgis Bike Week, please call Dena Sheets Property Management and let her create a wonderful vacation package of privacy and charm that’s simply unavailable when staying at commercial establishments.